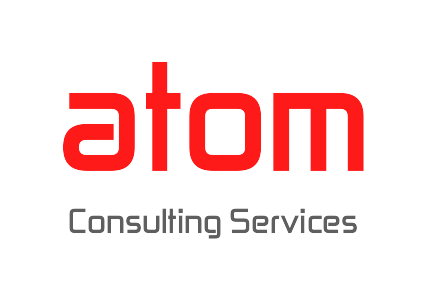 The Partner Program at Atom’s is committed towards building a synergistic relationship between atom’s and its partners that enables us to deliver a complete and customized solution to our customers. Our strategic partnerships are managed by dedicated Global Alliance Managers who nurture the individual partnerships and also explore global business opportunities. Atom’s has developed an integrated program “BROP” (Building Relationships around Opportunities and Projects) program that enables partner organizations and our customers to succeed. Aeris Communications is the only cellular network designed and built exclusively for machines. Aeris is a leader and pioneer, shaping and driving industry innovation and standards in machine-to-machine (M2M) communications. As an operator and a technology provider, Aeris can offer end-to-end M2M solutions to all the customers. Their CDMA and GSM solutions not only give the highest network reliability, but also the flexibility to connect to any cellular network that provides the best signal. Their technology solutions, including AerPort customer portal gives the most comprehensive, real-time device management and diagnostic tools available. Alfresco is an open source alternative for enterprise content management. It blends innovation of open source with the stability of a true enterprise-class platform. The open source model allows Alfresco to use the best-of-breed open source technologies and open source community contributions to get higher quality software, produced more quickly at a much lower cost. Antenna provides the most complete cloud-based enterprise mobility suite in the market, enabling both information technology professionals and business execuives alike to create and manage mobile apps, websites and content across the entire business. AMPchroma gives Global 1000 companies the ability to create, control, measure, adapt and future-proof their mobile business strategies for employees, partners and customers in one place, increasing productivity, connectivity and engagement. Antenna’s integrated suite of mobile services provides unparalleled creativity, control and visibility throughout the entire mobile value chain. Founded in 1998, Antenna is headquartered in Jersey City, N.J., with offices around the world. They specialize in Mobile Platform, Mobile Apps, Mobile Web, Enterprise Mobility Management, Mobile Enterprise Application Management, Human-centered Mobility Design and best practices. healthcare and wellness solutions. Its products have been certified by more than 56 carriers in 45 countries. The company distributes its products worldwide through wireless carriers and OEMs. AnyDATA’s key strength lies in its ability to create differentiated value for its business partners by rapidly developing diverse wireless products and vertically integrated wireless solutions. Appear Networks Systems AB is a leading Swedish provider of context aware enterprise mobility solutions. The flagship product, Appear IQ, combines a Mobile Enterprise Application Platform (MEAP) supporting cross-platform and device agnostic development, with a powerful context engine, a vertical solution store and integrated Mobile Device Management (MDM). Appear products are offered either as cloud-based services (PaaS) or behind-the-firewall, depending on the specific customer requirements. Appear is renowned for its focus and leveraging of precision device and user situational information; Context awareness is used throughout the Appear IQ eco-system in order to deliver the right information to the right user at the right time and place. Appian is the first Business Process Management (BPM) company to combine process, knowledge and analytical capabilities in a comprehensive suite. Expanding the value of existing systems, Appian’s award-winning software aligns business strategy and execution, delivering greater operational control over strategic business processes. Appian’s BPM Suite is a comprehensive solution that simplifies process collaboration between business and information technology users. It allows users at all levels of an organization to be part of the process of achieving corporate goals. 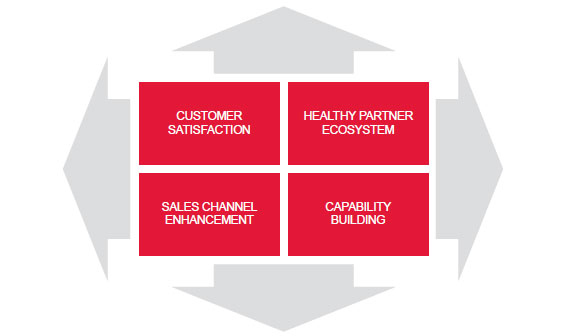 Appian’s product is the easiest BPM Suite to deploy and use. It is built on technology and standards that close the communications gap between information technology and business users. Appian’s BPM Suite is the only 100 percent Web-based BPM solution to provide real-time analytics. It provides the flexibility for users to quickly develop composite applications and implement the processes and reports critical for their businesses. With the headquarters in Washington D.C., Appian has worldwide professional services and partners to address the process improvement requirements of its customers. For the manufacturing industry, Apriso has designed an entirely new solution “adaptive manufacturing”. This solution helps manufacturers adopt systems and processes that provide the agility required to take up new extended business models. The manufacturers can also adopt continuous improvement initiatives, simultaneously reducing the risks, by maintaining strict controls over process and quality. Active Intelligence Engine® (AIE), redefines the business impact of our customers’ information assets. This helps them quickly seize opportunities, solve critical challenges and fulfill their strategic vision. Attivio links different silos of structured data and unstructured content in ways that was not possible before. Offering both intuitive search capabilities and the power of SQL, AIE seamlessly integrates with existing Business Intelligence (BI) and big data tools. It reveals the relevant insight through the access methods, that best suits each user’s technical skills and priorities. Autonomy provides the software infrastructure to automate operations on unstructured information in any digital domain. Autonomy’s technology provides “Integration Through Understanding”, by allowing applications to communicate with each other without any manual effort. Bug Labs is a sought-after innovation partner for Fortune 500 enterprises looking to expedite their internal product development programs in vertical markets including retail, automotive, healthcare, and home automation. Founded in 2006 by software industry veteran Peter Semmelhack, Bug Labs is headquartered in New York City. Bug Labs helps organizations innovate in the rapidly-growing “Internet of Things” market. Bug’s unique, cloud-based platform abstracts the raw functionalities (e.g., sensors, actuators, transceivers) of any hardware device and exposes them as web services, allowing simple drag-and-drop creation of applications, no matter how heterogeneous the hardware in use may be. CAS Software AG is the leading expert for Customer Relationship Management (CRM) in the small and medium enterprises (SME) sector. Programs like the contact manager CAS Contact, the CRM system, CAS genesisWorld and the intranet or extranet CAS teamWorks, support small and midsize businesses in establishing profitable and long-term relationships. CAS also provides tailor-made support systems as per customer requirements. ClickSoftware (NasdaqGS: CKSW) is the leading provider of automated mobile workforce management and service optimization solutions for the enterprise, both for mobile and in-house resources. As pioneers of the “Service chain optimization” concept, our solutions provide organizations with end-to-end visibility and control of the entire service management chain by optimizing forecasting, planning, shift and task scheduling, mobility and real-time management of resource and customer communication. ClickSoftware is the premier choice for delivering superb business performance to service sector organizations of all sizes. The company is headquartered in the United States and Israel, with offices across Latin America, Europe, and Asia Pacific. Cloudera develops open-source software for a world dependent on Big Data. With Cloudera, businesses and other organizations can now interact with the world’s largest data sets at the speed of thought — and ask bigger questions in the pursuit of discovering something incredible. Cloudera is the Platform for Big Data. With a single, integrated enterprise-class solution, Cloudera lets organizations efficiently query all their data – structured and unstructured – and have a view beyond data sitting in relational databases. Equally important, Cloudera’s platform runs in real time, so the customers can work at the speed of thought as you build rapidly on deep insights, create competitive advantage and become truly data-driven. CollabNet is a leading provider of Enterprise Cloud Development and Agile ALM products and services for software-driven organizations. With more than 10,000 global customers, the company provides a suite of platforms and services to address three major trends disrupting the software industry: Agile, DevOps and hybrid cloud development. Its CloudForge™ development-Platform-as-a-Service (dPaaS) enables cloud development through a flexible platform that is team friendly, enterprise ready and integrated to support leading third party tools. The CollabNet TeamForge® ALM, ScrumWorks® Pro Agile project management and Subversion Edge source code management platforms can be deployed separately or together, in the cloud or on-premise. CollabNet complements its technical offerings with industry leading Consultancy and training services for Agile and cloud development transformations. Many CollabNet customers improve productivity by as much as 70 percent, while reducing costs by 80 percent. ConnectM is a pure unique, pure-play Machine-to-Machine (M2M) Technology Solutions and Services Company, based in Bangalore, India doing business for last 5 years with over 60,000 assets connected to our platform across 5 verticals. ConnectM has delivered M2M solutions to more than 30 customers and counting. ConnectM focuses on M2M technology spread across Telecom, Energy, Utilities, Industrial, Construction, IT/ITES Enterprises and Transportation market segments. ConnectM’s solutions are powered by cutting edge M2M technology, and are designed to make significant, sustained and measurable business impact. ConnectM’s USP is the robust M2M platform hosted on cloud which is evolved in course of the lifecycle. ConnectM further increases the scope to collect data remotely and use domain specific analytics to deliver actionable business intelligence. ConnectM addresses business problems by providing Consultancy and end-to-end solutions along with a robust eco-system of partners. These solutions leverage readymade technology platform solution and eco-system partners and our services. We help our customers in end-to-end solutions. Backed by Sasken and IDG Ventures, ConnectM has the credentials to lead in this space. As the world’s leader in Product Lifecycle Management (PLM) software solutions, Dassault Systemes applications and services enable businesses of all sizes in all industries around the world. Their services digitally define and simulate products, processes and resources required to manufacture, maintain and recycle those products and improve our environment. The solutions from Dassault Systemes facilitate the design, simulation and production of complex systems, such as cars or aircraft and the manufacturing facilities used to produce them. These solutions are also used to design and manufacture articles for everyday life, from tableware and household appliances to jewelry. eBaoTech is a leading provider of new generation core insurance software and services for both life and general (P&C) insurance world wide. All of eBaoTech’s software products, such as eBaoTech LifeSystem and eBaoTech GeneralSystem, are developed fully based on web technology and designed according to best practice management thinking such as paperless straight through processing and workflow flexibility, supporting all products and channels in one customer centric system. In addition, our products are highly parameterized and rule based. eBaoTech also provides highly specialized services such as policy data migration, product consolidation, software customization and integration, all with the aim of making insurers more efficient in their operations. eBaoTech customers include leading insurance companies in Asia, Europe, and North America and eBaoTech products are supporting operations of our customers in more than a dozen of countries or regions, both for green field start up and legacy system replacement. Our solutions have enabled insurance companies to innovate and achieve significant results in reducing operation cost, speeding up product launch, and improving customer services. Endeca provides a platform for search applications that enables more than 250 million people around the world to access information quickly and easily. Endeca-powered solutions give the customers and employees a clear visibility of any information, driving up to hundreds of millions of dollars in measurable cost savings and increased revenue. It is a Dot Net-based content management software and is used in over 1900 installations. EPiServer’s customers range from small organizations to the world’s biggest corporations. They rely on EPiServer to provide the platform for their Internet, Intranet and Extranet content solutions. EPiServer is an efficient and flexible platform that makes it easy for companies and organizations to use the web as a quality-assured and business-critical information channel. Our alliance with EPiServer provides international corporations with global service and support for EPiServer-based solutions. Our commitment to an EPiServer Center of Excellence delivers the quality and scale of services demanded by the world’s top corporations. Experitest is the provider of SeeTest tools for mobile test automation, manual testing, monitoring and performance, supporting all mobile OS: iOS, Android, WindowsPhone8 and BlackBerry. Its tools provide an end-to-end solution and integrate into all ALM environments on the market including HPs UFT/QC, Microsoft’s Visual Studio/TFS, IBM’s Rational, and all open source environments (C#, Junit, Perl, Python, Ruby & Selenium). Experitest’s customer base of over 300 Fortune 500 companies includes 7 of the 10 largest banks worldwide, 3 of 5 top global healthcare companies and 8 of 10 top telecommunication companies in the world. Examples include Barclays, Westpac, Verizon, China Mobile, Orange, Amtrak, Sony, Marvell, Medtronic, Kno, TCS, IBM, Canon, Sky, Microsoft, GlobalLogic, TNT, Hong Kong International Airport and many more. Experitest is an HP Gold Partner (and its tools are HP certified applications) and a Microsoft VSIP partner (and its tools are Microsoft certified). FatWire, headquartered in New York, is a global web content management software company that produces software for websites, portals and intranets. Our alliance with FatWire as a development partner has continued to be successful for more than 4 years and has a few eminent customers as references. FTS is a leading provider of billing, customer care and policy control solutions for communications and content service providers. By analyzing events from a business standpoint rather than just billing them, FTS allows providers to better understand their customer base and leverage business value from every event and interaction. FTS deploys its full range of end-to-end, standalone and add-on solutions to customers in over 40 countries. It has implemented solutions in wireless, wire line, cable, content and broadband markets including multiple cross-network installations. Serving the evolving needs of both traditional and next generation service providers, the company’s operations comprise international research and development locations and strategically-located sales support offices worldwide. Galorath, based out of California, is a leading provider of estimation solutions. The solutions range manufacturing to information technology estimation. Galorath’s cutting edge products resulting from its highly customizable, parametric and non-deterministic framework and our experience with extensive material databases and the manufacturing value chain understanding together bring an offering that is enterprise scalable. The offerings will arm the customer with the power to determine the right costs. Global 360 is a global leader in providing Business Process Management (BPM) and Analysis solutions to organizations that need to automate measure and improve resource-intensive business processes for customers, employees and partners. Global 360’s premier product, G360 Enterprise, provides organizations with the insight to make informed business decisions and the flexibility to quickly adapt to changing market needs through real-time analysis and metrics. They enable organizations to manage critical business processes, reduce expenditures, improve efficiency and provide world-class customer service. GuardRFID develops Active Radio Frequency Identification (RFID) technologies and products for Healthcare, Industrial and Enterprise applications. GuardRFID’s products can accurately track and locate equipment, materials and people for enhanced automation, workflow, monitoring and security solutions – all on one flexible platform. GuardRFID Solutions Inc. is federally incorporated in Canada, with its head office in British Columbia, and its Sales office in Chicago, IL. Netmagic Solutions, an NTT Communications company, is India’s first and largest pure-play managed information technology hosting services provider. Netmagic Solutions is ISO 27001, ISO 9001:2008 and ISO 20000-1 certified and its processes are designed as per the Information Technology Infrastructure Library (ITIL) framework. Netmagic Solutions delivers mission-critical hosted applications for over 1200 of the world’s best-known enterprises in multiple locations. It has been awarded the “Datacenter Service Provider of the Year 2011” by Frost and Sullivan. The company specializes in Specialties Infrastructure Management Services, Cloud Computing Services, IDC and Managed Hosting Services, Messaging and Collaboration Services, Managed Security Services, Application Hosting Services, Disaster Recovery and Availability Services. GXS is a leading worldwide provider of business-to-business (B2B) Electronic Data Interchange (EDI) and supply chain integration, synchronization and collaboration solutions. The company operates a highly reliable, secure global network services platform. It enables more than 30,000 businesses, including 70 percent of the Fortune 500, to conduct business together in real time. We have excellent understanding and experience of GXS B2B and integration products. We have experienced consultants to give our customers, the best solution offerings on GXS technologies, including B2B managed services model. Our expertise in GXS EDI products enable our customers to align service levels, cater to business requirements and help make right parts available at the right location, when needed.